Say Goodnight Gracie, the hit Broadway play that invites audiences to spend a hilarious, heart-warming evening in the uplifting company of the world’s favorite and funniest centenarian George Burns, comes to the Aventura Arts & Cultural Center for two weeks only from Wednesday, March 14 through Sunday, March 25. Say Goodnight Gracie is a tender, funny, life-affirming story following entertainer George Burns as he starts his career in vaudeville, finds fame and meets the love of his life. A stunning tour de force that summons up an entertainer who spanned 100 years of American entertainment history, it is Broadway’s third longest running solo performance show. It was nominated for a Tony Award® for Best Play, and won the 2003-04 National Broadway Theatre Award for Best Play. In Say Goodnight Gracie, audiences discover George in limbo between this world and the next, unable to join his beloved wife and partner Gracie Allen until he gives the command performance of his lifetime for God. He looks back upon his impoverished, plucky youth on the lower east side of New York… his disastrous but tenacious career in Vaudeville … the momentous day when he meet a fabulously talented young Irish girl named Grace Ethel Cecile Rosalie Allen … their instant chemistry, with his flawless timing a perfect mate to her dizzy delivery … his wooing of her, their marriage and their rise to the pinnacles of vaudeville, movies, radio and television. Gracie’s demise forced George to start from square one in life and in his career, eventually achieving an equal level of success as a solo raconteur and Academy Award-winning actor, portraying everything from a Sunshine Boys to Oh, God. Burns is portrayed by Joel Rooks who appeared on Broadway in the role. A multimedia presentation, Say Goodnight Gracie features the skillful vocal talents of actress Didi Conn as well as evocative music and moving images from George’s long life and good times. 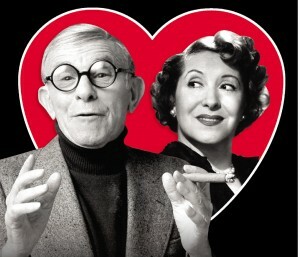 The play has been created with the approval and cooperation of the estate of George Burns and Gracie Allen. Its author is multiple Tony Award-winning playwright Rupert Holmes, whose Broadway credits include the Tony Award-winning musical The Mystery Of Edwin Drood and the Kander & Ebb musical Curtains. This production of Say Goodnight Gracie will appear at the Aventura Arts & Cultural Center from Wednesday, March 14 through Sunday, March 25. The Aventura Arts & Cultural Center located at 3385 N.E. 188 Street in Aventura. Tickets are $37.50. Showtimes vary. Tickets and scheduling information and are available through the Aventura Arts & Cultural Center’s box office at (877) 311-7469 or online at www.AventuraCenter.org.